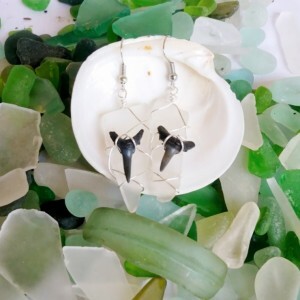 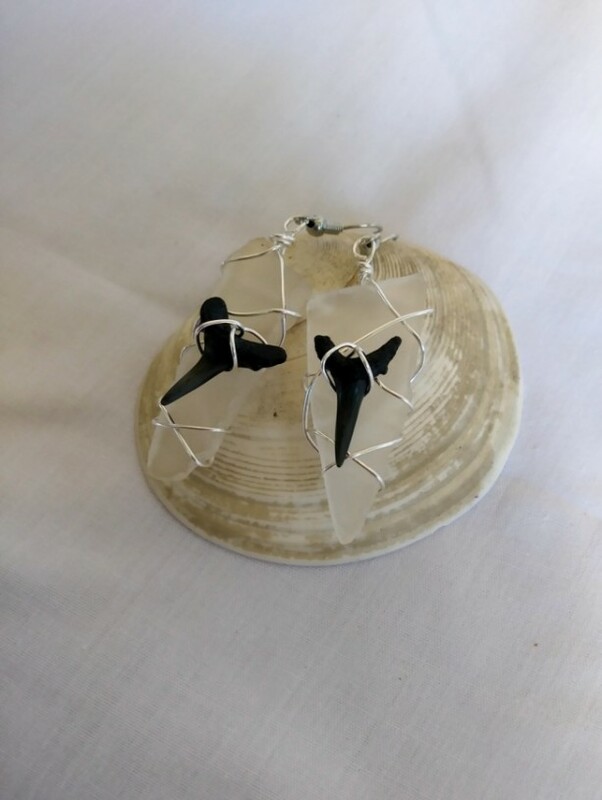 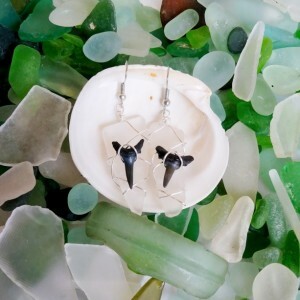 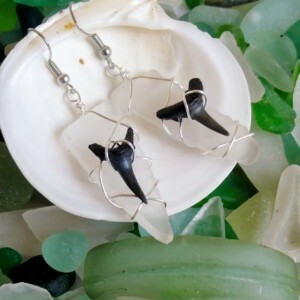 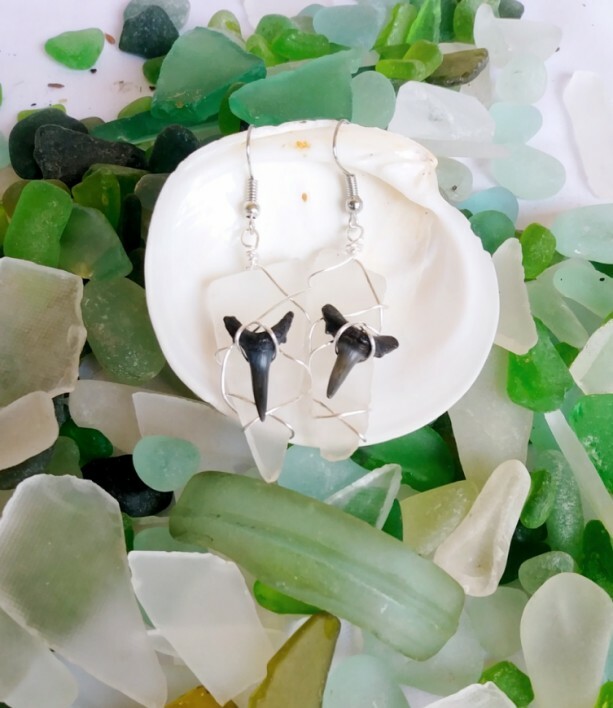 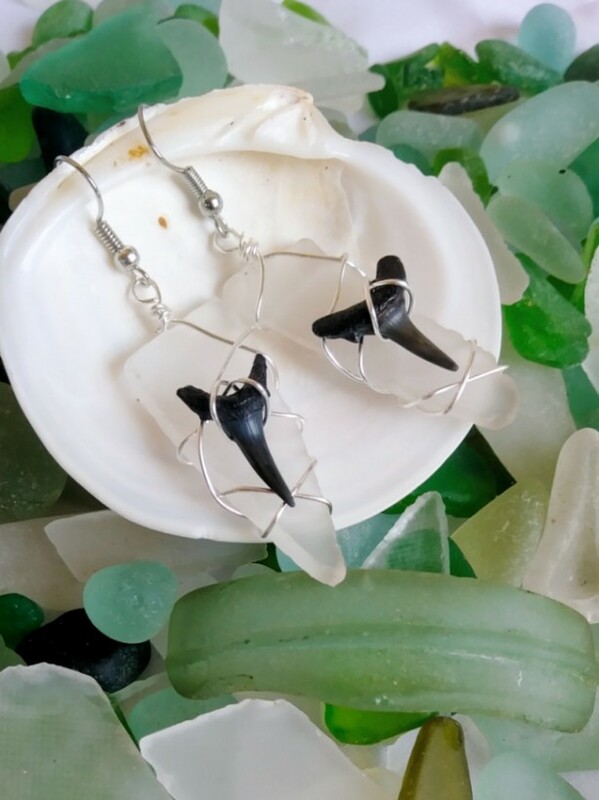 Genuine surf-tumbled sea glass and beach-found fossilized shark teeth meet to create this unique pair of earrings. 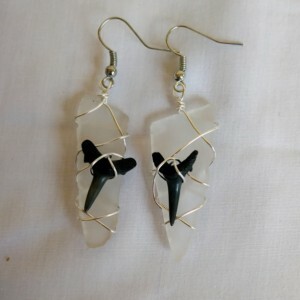 The clear frosted sea glass and hand picked Floridian shark teeth are bound together with brilliant silver toned artistic wire wrapping. 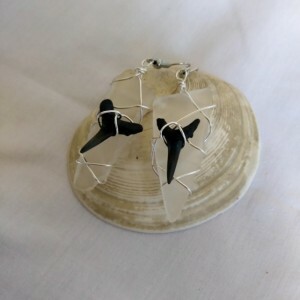 The perfect accessory for anyone who loves the seaside. 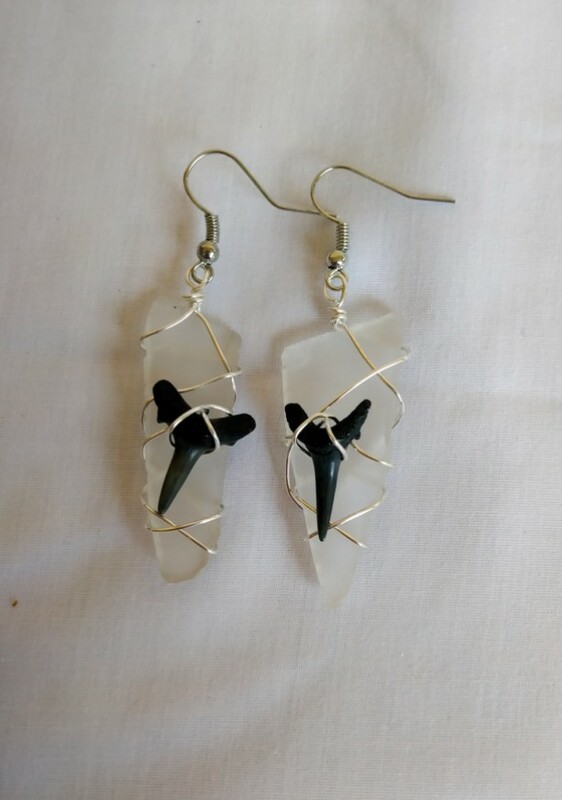 -Genuine surf-tumbled sea glass -Beach-found shark teeth from the East coast of Florida -Shining silver toned artistic wire wrapping -Sea glass measures approximately 1.25" x .75"